Carrying a smaller pistol doesn't mean quality should be sacrificed. That's why we made a better Ruger LC9s ankle holster. 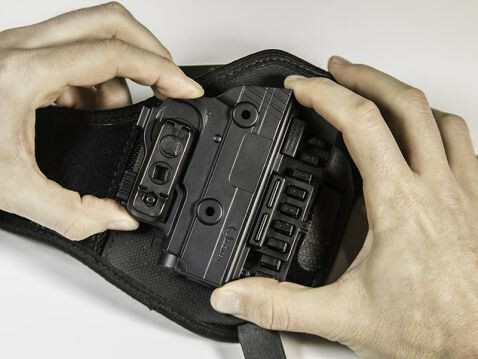 Instead of the same floppy, substandard and otherwise lower-quality compared to carry holsters at other positions, why shouldn't you get the same quality carry in an ankle holster? Alien Gear's ankle holster for Ruger LC9s pistols has been designed to excel where so many others do not. This ankle holster carries securely, comfortably, and with no compromise built into it whatsoever. It is a quality carry holster designed to carry better in this position than any other on the market. 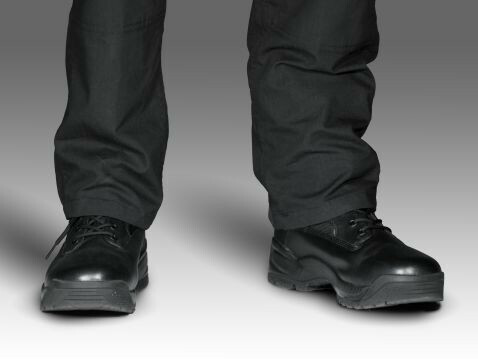 Most ankle holsters use either a single ankle strap or a garter strap system to hold the holster up. 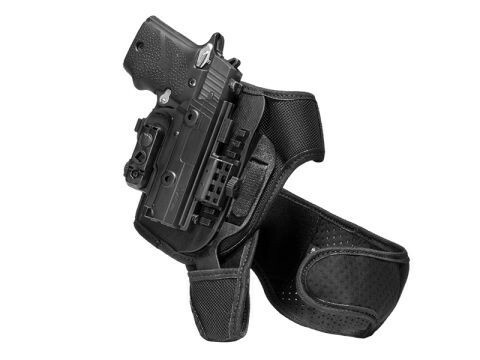 Our Ruger LC9s ankle holster has a two-strap system, with a heel loop and ankle strap. The ankle strap has a durable polymer insert that is inserted into the heel strap. This creates vertical and horizontal rigidity and support. No more flapping or slippage. 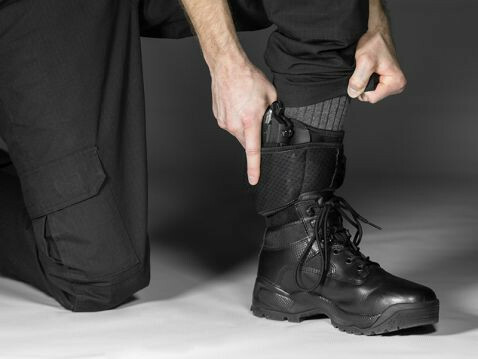 A secure carry on the ankle, which is not common with many ankle holster designs. 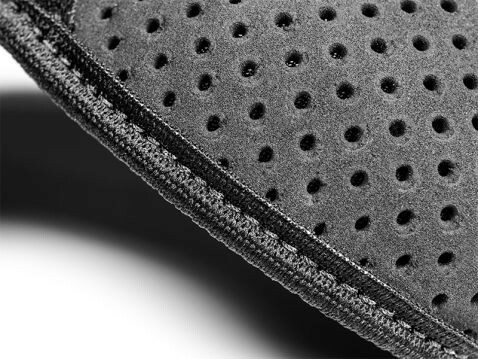 The strapping is also comfortable, made with our perforated Cool Vent neoprene. The material breathes against the skin and wicks away moisture. No more hotspots, chafing or other discomfort. You also don't have to worry about a poor fit or retention. 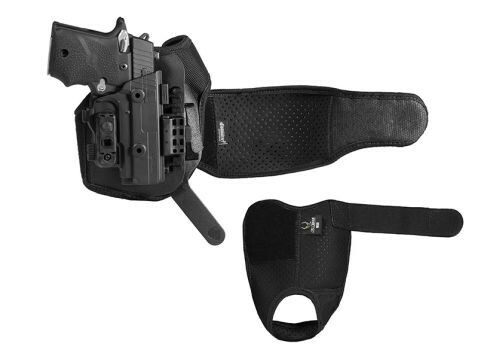 The holster is the ShapeShift shell system, featuring a full length outer shell and trigger guard inner shell. 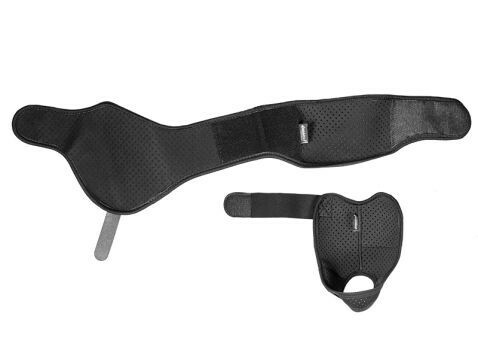 You get the same fit of the other ShapeShift holsters, including a full wrap of the trigger guard for added security. Retention is fully adjustable, as is the ride height for finding the perfect carry position. Your Ruger LC9s ankle holster also comes backed by Alien Gear's Iron-Clad Guarantee, including the 30 Day Test Drive and Forever Warranty. If you want to shift to ankle carry, this is how you do it better.